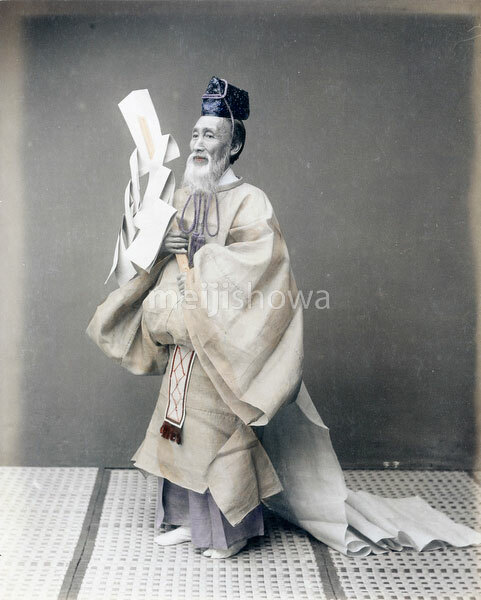 A shinto priest or kannushi. This image is often attributed to Kimbei Kusakabe, but Terry Bennett attributes it to Adolfo Farsari. See blog entry.